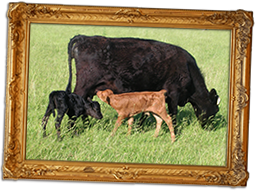 Our Dexter cattle herd was established in 1993 to produce breeding stock and beef animals. The herd is pedigree with any breeding stock named with the prefix “Linhill”. Any animals not thought good enough to use for the future breeding are finished for beef which we sell at farmers markets and in packs from the farm. In 2010 we bought some rare breed Irish moiled cattle originally bought to take to agricultural shows at which we have had a lot of success, we now have 12 cows to breed from. 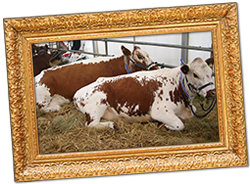 There are less than 750 registered cows so the breed is classed as “at risk” with the rare breeds survival trust our future breeding animals are named with the prefix “Challow Hill”. All others will be finished for beef which we will introduce in 2014. The majority of our sheep are zwartbles. A very striking black and white animal which originates from Hollan. 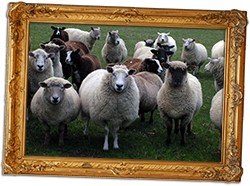 We also have some commercial sheep consisting of Texel, Charollais and Wiltshire Horn ewes. Lambing takes place in April to take advantage of the spring grass to ensure the Ewes give plenty of milk for the lambs. We select some lambs for breeding stock and the rest are finished for meat. We have 6 sows and 1 boar so produce piglets all year round. 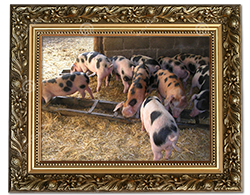 The boar is a large white and we have a mix of sows including Oxford Sandy & black, Tamworth and Gloucester old spot.